Careers are built on job roles – either in paid work or entrepreneurship. By performing their jobs satisfactorily through meeting the needs of employers or clients, workers shape their careers in no small ways. Evidently, career success in the present digital age lies in acquiring skills and knowledge, not for the present alone, but largely for the future. Some three or four decades back, people had a regular pattern of media usage for meeting their information needs; they bought printed products; books, newspapers and magazines, etc, to get news and acquire new knowledge. These print media, including television and radio were the major media available. Not anymore. Now, media users have a plethora of media to meet their information needs with the rise of digital media. The tide of change in media consumption has seen the emergence of new media (like the internet) as a dominant feature in the media landscape, and the table seems to have turned on old media like printed books, print newspapers and magazine. Print advertising is also suffering a decline as less budgets are allocated, with the lion share going to digital media. And this is not about blinded loyalty to particular media but a strategic response to the dynamics in the media sector today. Evidence abound that consumers use the media that best perform the function of satisfying their needs and gratifications. This explains why many media users are adopting digital media and using less and less of print media. A media analyst, Raheem Akingbolu, in a review of the Nigerian Media Advertising Guide for 2018/2019 came off with the conclusion that digital media technology may not have totally displaced the print media but it has become an established supplement to traditional media in Nigeria. He noted that individuals spend an average of 4.05 hours daily using the Internet via any device, and another 3.02 hours on social media via any device. Citing from the Nigerian Media Advertising Guide 2018/19, Akingbolu notes that consumer behavior has been significantly impacted by technology, leading to change in how audiences are reached and the approach to the measurement of media metrics. Of particular importance is the reported increase in the number of active social media users with greater access to smartphones. According to the report, active mobile social media users account for as much as 89.5%. The print media industry, faced with the challenge of survival in a digital environment, has taken the path of digitalisation. This has brought profound changes in the production, distribution, storage and consumption of print media products. Automation of print shops has taken deep roots, prompting widespread changes that affect technologies, markets, business models, and organisational processes. In addition, digitalization has blurred the boundaries between different media, thus leading to printing workers finding themselves in a multi-media work environment that is so much different from the press rooms that their forebears worked in. The wind of change is blowing hard, transforming the printing industry from one dependent on craft and old technologies to a new print media industry. This transformation has also changed the nature of occupations in the industry. In a study on the impact of digitization and automation on job roles, the trio of Jacques Bughin, Susan Lund and Jaana Remes reported that digital technology adoption in industries lead to the “unbundling and rebundling” of tasks. A report from the stable of the European Parliament shares the same stance that, “Digitalisation could entail major processes of change and restructuring in all sectors and occupations”. The automation of work processes results in the disappearance of old roles and the emergence of new ones. In the prepress segment of printing, for example, there has been a shift from manual to electronic stripping. For clarity, stripping is an operation involving colour separation and image assembly of pages to be printed. In the early stage, this operation required intricate skills that took years to learn and master. Today, however, this has been replaced by electronic stripping encompassing desktop publishing systems and computer-to-plate workflows. The consequence is the unbundling of traditional printing industry roles like paste up artist, typographer, engraver, darkroom operator, scanner operator, trapping specialist, dot etcher, film stripper, platemaker, etc. The rebundling of these roles has taken the shape of occupations like graphic designer, prepress technician, data management specialist, digital printing technician, variable data printing specialist, media planner, IT specialist, digital marketing specialist, user experience designer, etc. From this perspective, it is said that technological innovations may initially upend skills in the old printing industry, but they ultimately bring about new skills and new occupations in the new printing industry. ALSO READ: Should a First Class graduate consider postgraduate degree or paid employment after graduation? The adoption of new technologies in any industry provides workers with higher levels of responsibility, new skills and new knowledge. It is only logical, therefore, that expectations from the labour market will be based on demands from consumers needs. From a socio-economic perspective, technological innovations increase the differentiation and specialization of workers in responding to the needs of the marketplace. There is no doubt that the type of training that produced workers for the old printing industry will fail miserably in the new digital era. Against the backdrop that technological processes free workers from tedious, routine jobs and create the path for them to move upward into more challenging task, there are opportunities for imbuing printing workers with new skills and knowledge in the areas of visual research, strategic planning, data management, systems analysis, and so on. Indeed, a 2014 doctoral study on graphic communications industry trends and their impact on the required competencies of personnel revealed that traditional printing companies are now offering ancillary services in such areas like variable data printing, creative design, web design and implementation, mailing and fulfillment, and interactive media. The creation of the items to be printed is the first step in the print production chain. This used to be the exclusive domain of creatives like copywriters and graphic designers. But the emergence of computer application software has thrown the doors open to anyone with the creative ability to write and design good copies. It has been advanced that printing firms should offer more than ink on paper by becoming a vital part of their clients’ communications programme, offering solutions in marketing, public relations and advertising. This will involve planning and executing strategies, not only for print media but for all forms of media. 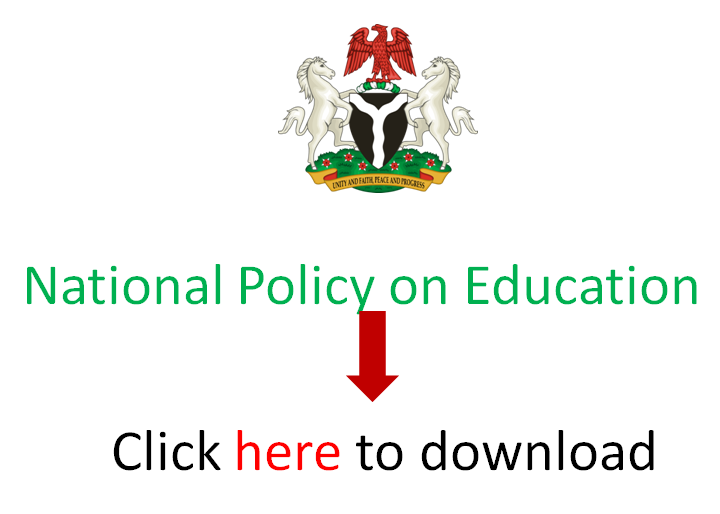 ALSO READ: What is CAPS and how does it work for JAMB Admission processing? These are all-purpose skills crucial for all workers in the present age. The ability to communicate effectively is an important life skill, irrespective of job roles. According to human resources experts, the need for communication skills increases as people advance higher in their careers. These are essential competency for printers who want to distinguish themselves from competitors in an age where digital technologies drive all aspects of human activities and industrial operations. In a 2008 study led by Frank Romano, the emeritus professor of graphic arts at the Rochester Institute of Technology (RIT) school of print media, it was revealed that information technology has become a cornerstone of operations in the print and graphic arts industry as about a quarter of “all new hiring in the printing industry worldwide involves IT-based functions”. As Romano puts it, “printers with up-to-date IT capabilities can combine task-specific software from multiple vendors for e-commerce to facilitate sales, transactions, and communications with customers. Printers also need IT skills to set up web catalogues and design template programs for specific customers, automate internal processes and improve management control over pricing, costs, and productivity. With the spate of digital transformation that promises to be unending in all spheres of life, there is need for the print media training that meets not only the present needs but that of the future. The form of training required in the print and graphic arts industry now is such that produces knowledge works, not craft workers. “Knowledge worker” is one term that has gained currency in the contemporary digital economy. An expert, Bill Martin, explained that knowledge is core to business activities in the present age. Learning, he also averred, is a driver of change in the printing and publishing industries. Martin described knowledge workers as “those who are not easily interchangeable or replaceable owing to their special, often tacit knowledge, their innate problem-solving skills, and their creativity in finding solutions to problems”. To survive in the competitive media ecosystem, print medium has undergone evolution by fusing seamlessly with digital media. With the rise of digital printing technologies, it is therefore imperative for workers in the print media industry to pass through a similar evolution in their training, work attitude and perception about media technology. The future is looking colourfully bright for those willing to toe the path of digital evolution.